The card box is typically one of the last details you pull together..sometimes couples forget about the card box altogether and then we scramble to find something that fits in with the decor. I have a bunch of options in my arsenal of wedding details that I can pull from if necessary. If you have a strong opinion about card boxes you may want to not wait until the last minute. 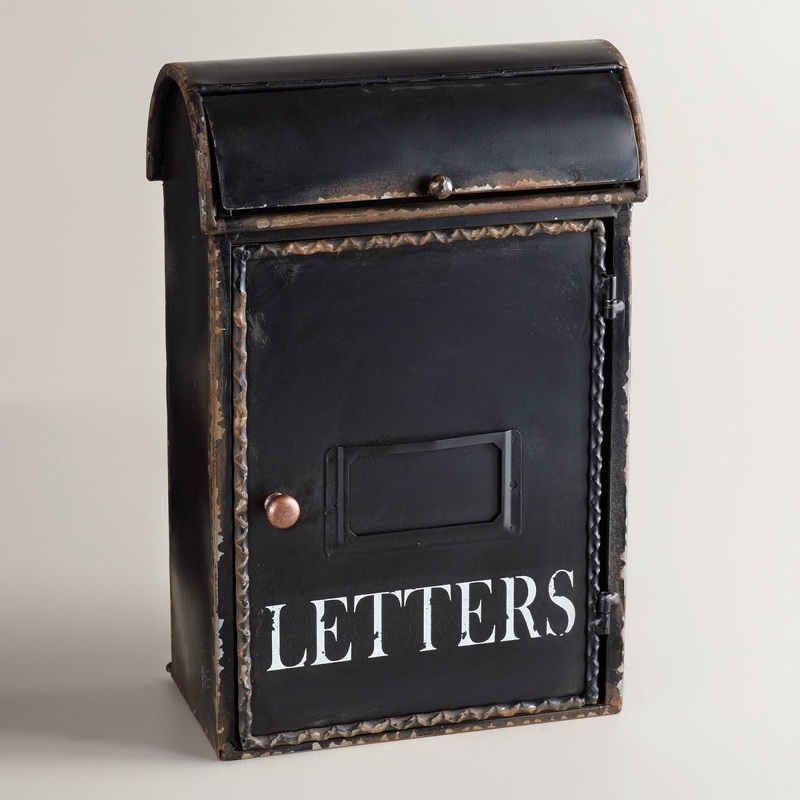 I love the idea of using a mailbox as the card receptacle and this one seems to be both functional and cute. It is meant to be freestanding and not built to hang on something which can be problematic at various wedding venues and it could be easily used in your home decor after the wedding. Oh and its on sale!